Well, new collaboration work, now is with , she put this LineArt on hers gallery, and give autorization to any people make a color version! Hope you like it, and comment! *q* this is so amazing....-faints- hes so cool!!!! As I have asked many other artist I will ask you too......PLEASE MAKE A MANGA OF THIS!! You have displayed an amazing talent. You should test your self by creating a book full of art of your own......Manga! So please make a manga of your amazing art. Well my friend,I apreciate your comment, but I don't have much time now to make something like a manga. But, its a good idea, maybe in the future. Ficou muito legal! Tanto o desenho quanto as cores ficaram ótimos! Valeu, fico feliz que tenha curtido. I love this so much! I love your song, at the end, the details, the colors- EVERYTHING! Thanks, this is one of my favorite songs too! That... that is... just... *tries not to cry* So beautiful... Just amazing! como eu queria um tapa-olho!!! O____O Holy Crap! Talk About AMAZING WORK! que lindo o seu chapeleeeiro! Adorei as cores, ele ficou com uma cara de mocinho tão bunitinha! As texturas tanto nas cartas, quanto no lenco ficaram muiiito boas! i love the way you draw the boy! sério, fico feliz com os elogios! nossa ficou muito bom esse seu trampo em! 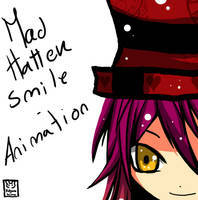 cool!Ilove the Mad Hatter!I like hat's!